Alibaba may not be a familiar name this side of the world, but it’s a household name in China and well-known among certain tech industry watchers. If you follow the financial world you're bound to hear a lot about them in the coming days and weeks too, as the tech giant is moving forward with plans for a multi-billion initial public offering in the US stock market. The company already filed paperwork with the Securities and Exchange Commission and both Nasdaq and NYSE are said to be competing for the assignment. While documents only say Alibaba will raise at least $1 billion from the U.S. listing, that number is believed to be a placeholder, with analysts estimating it could bring in more than the $16 billion Facebook raised in 2012. Alibaba’s two main websites are Taobao Marketplace, which launched in 2003 to compete with eBay in China, and Taobao Mall (or Tmall), an online shopping marketplace. As such the company is often described as a mix of eBay and Amazon for the Chinese market but their footprint is bigger and more diverse. Some other areas they are competing in include cloud services, mobile messaging, microblogging, travel booking, ride sharing, maps and navigation, music streaming, video streaming, group buying, and more. They also have strong ties with U.S. businesses, most notably with Yahoo, which owns a 24% stake and stands to make a healthy profit after the IPO is complete. 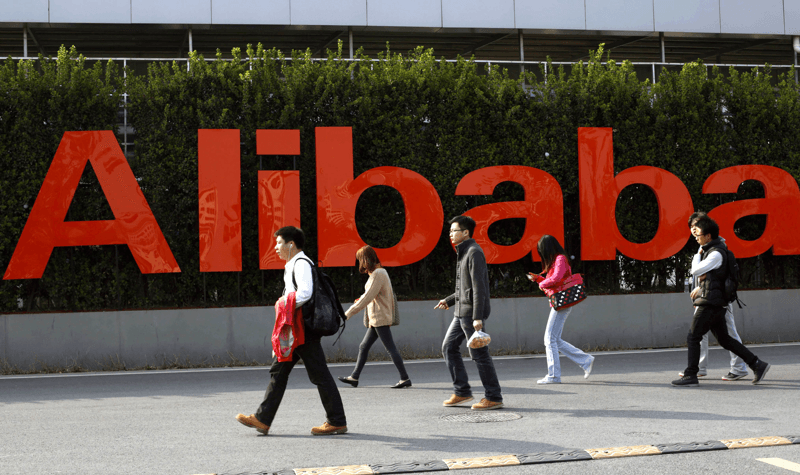 The company has around 22,000 employees and accounts for 76.2% of all mobile e-commerce sales in China. According to its IPO paperwork, revenue for the first nine months of its fiscal year 2013 hit $6.51 billion, while reporting net income of $2.85 billion for the same period. The New York Times has an interesting piece on Alibaba’s founder Jack Ma and his unlikely rise from English teacher to tech billionaire.